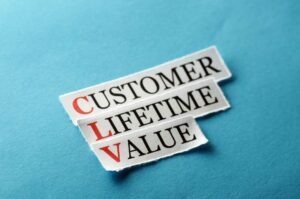 The term ‘customer lifetime value,’ or CLV for short, is often ignored by small and medium businesses. A cursory glance at the term reveals that it might be just another corporate lingo that doesn’t serve any ultimate purpose beyond impressing the board of directors. But CLV is so much more than just a metric, it helps you build and improve upon client relationships and retain them for the long haul. The short and long of CLV is that it is a number that reflects the impact a customer has on your business’s bottom-line. The number shows how much money a specific customer spends on your products over a specific period. Not only what the spend is but how much you return on your marketing efforts. A simple way to calculate CLV is by multiplying the average annual income per client by the number of years or months the client stays with you. Notice that we are using averages to minimise instances of skewed results. Let’s discuss why you should give importance to customer lifetime value. For example in my business telephone-answering.biz we calculate the average spend per customer per month times the average number of years they stay with us. This figure gives us a very good idea of how much we should be spending on our marketing to acquire a customer. Every company needs to have a customer-centric business model to make sure customers come back for more. Keeping an eye CLV can help you build a formula that will help you retain more customers. CLV is more than just a simple statistic as it helps you think beyond just the sales and focus on the journey of the customers. It helps answer basic questions such as what budget to set for client acquisition. Lifetime value is a great way to see what your marketing returns. Calculating CLV brings your attention to weaker client relationships and address areas that require improvement leading to more repeat clients. At the heart of any company’s growth is its customers, and by failing to engage them properly, you risk having a low CLV. Improving customer relationships will help you improve retention and increase your CLV. This is especially true if you have an e-commerce business, an industry where repeat business plays an important role. A low CLV points to the fact that either there are potential flaws in delivery or service or your company is not focusing on the product or service needs improving. Both cases result in unmotivated customers who may not see the point in returning to your company for more business. Customer lifetime value is a great tool for monitoring what your customers like and dislike about your products and service. Amazon and Ebay is just a very small example of companies who rely on repeat customers. Of course, these are giants but just imagine what could happen if they lost focus on service and client retention. CLV is just as important to small and medium sized businesses. CLV can help you properly allocate your company budgets and open possibilities on expanding your base of operations. It also allows you to accurately assess how much capital you can expect from each customer so you can appropriately invest in specific campaigns. It becomes easier to grow your business if you are aware of your budgetary limits. Customer lifetime value can help you make changes to your marketing and help target those customers who will give you more consistent returns long term. You know when you get asked what’s your ideal customer. This is a great way to make sure you target those ideal customers. One way to help improve your customer relationship and retention is to use a telephone answering service to make sure your customers can contact your business.